Company places its trust in the Domino K600i ink jet solution for printing its high-security documents. K600i ink jet printer Kern is a Swiss family-owned company, founded more than 60 years ago by Marc Kern, the father of the current Chairman Uli Kern, and operates in 12 countries, mostly in Europe, although it also does business in the USA, Canada and Russia. Kern's main business line involves solutions for documentation management and processing, especially inserting equipment. It operates in two other areas, the first involving pre-processing, with winding machines and cutter lines in its factory in France. The second involves the cards division, with credit card personalisation, tipping and inserting to provide the highest level of security. 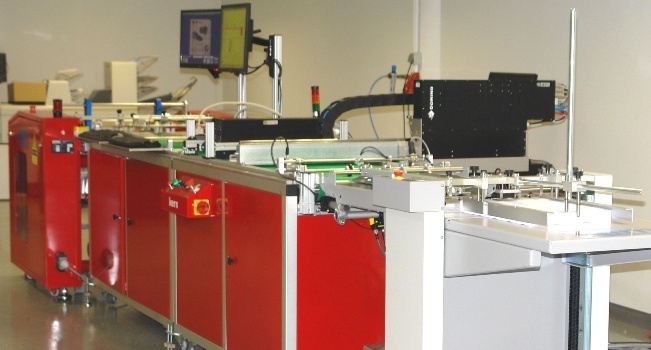 This document handling line installed by Kern incorporates a computer vision camera that can read any type of QR code, barcode, 2D Datamatrix and other codes. With this system, when the pre-printed document passes through the printing line, the camera detects it and sends the information about the actual printing required for this document to the printer. This requires the need for ultimate printing precision and coordination without losing any resolution or speed. To develop the project, printer manufacturers and document handling and vision manufacturers were consulted separately, but nobody could offer integrated solutions to meet the requirements. 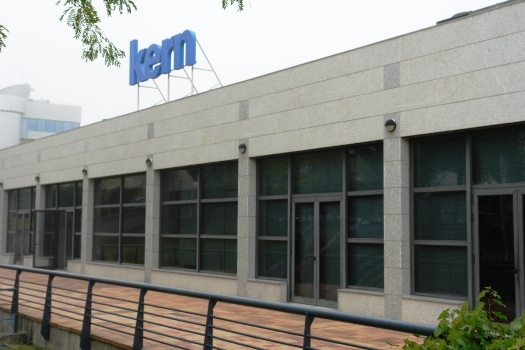 CEO of Kern Spain Juan Lozano Kern systems had to look for a specific solution for its client that matched the explicit specifications which required integrating Kern's high-security document transport system with a specialised printing solution. This was a new situation for Kern and they had to research the market looking for alternative products from its usual partners to find the best possible solution. Following an exhaustive evaluation of the options put forward, Kern chose Domino as its partner in the project. The perfect solution was to incorporate the K600i ink jet printer, which can print onto a wide range of uncoated and coated substrates and plastic media, with a native print resolution of up to 600dpi. The CEO of Kern Spain, Juan Lozano, says: "From the outset, Domino offered the flexibility we needed to adapt its solution to our needs. In fact, Domino modified and adapted its Editor GT software, which enabled us to print PDF documents directly and indirectly. Normal printing, read & print, and print and final quality control were also possible." 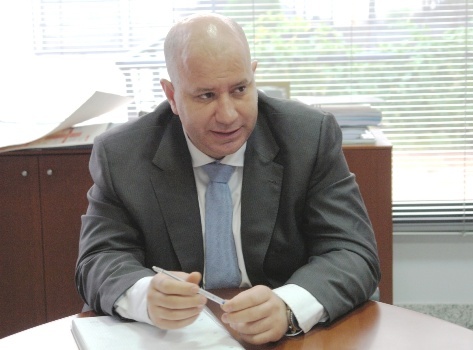 In addition, and with reference to the specifications of the K600i ink jet printer, the CEO of Kern Spain highlighted as a fundamental advantage: "the automated cleaning and capping system of the Domino printing head with CleanCap technology. This guarantees that no time is lost with daily, manual print head cleaning and that the risk of print nozzle blockages are significantly reduced resulting in increased production capacity." Kern ExteriorPrint head alignment and image stitching is achieved using the i-Tech StitchLink micromotor technology. This provides accurate registration and maximum precision using an automated procedure as opposed to having to do this manually, improving the response time for the user and satisfying Kern's requirements. Juan Lozano concludes: "Domino's solution has been a resounding success, it's established reputation as a printer manufacturer and the ability to develop a 'tailored' solution, together with what the K600i printer guarantees us in terms of reliability, low maintenance and cleaning costs, and print quality have been decisive for offering a productive and efficient solution."